Everyone see dreams while sleeping. However, every dream does not become true. Dream becomes true only when some dreams repeatedly. Many people face problems. It is believed that god does not punish directly. Some dreams are the indication of that problem. There are seven types of dreams. 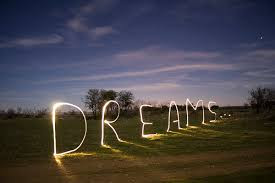 Dast, shrut, anumbhut, prathit, kalpit, bhavik and doshaj are seven types of dream. In prathit dreams the expectation can be seen to fulfill. If prathit dreams come repeatedly then they are fulfill. If you see prathit dreams sometime then it cannot fulfill. There are two types of expectations. One fulfills and the other cannot fulfill. The incomplete expectations dreams may create disease. If you see yourself taking bath in dreams repeatedly then it is the indication of vein disease. If you see twigs on your body in dreams and birds live making nest on it then it is the indication of diseases. They can suffer with diseases for a long time. They should take special care in this case. If you feel suffocation in dreams and suddenly you wake up from sleep then it indicates you can suffer with vein and heart problem. In this case, you should avoid taking stress. You should do some remedy to improve blood circulation in the body. While suffering with disease, if you see yourself sitting on camel and going south side then it indicates you can suffer with air and food disease. If you see yourself drinking alcohol with weird images then it indicates weakness of the body or indication of some disease. If you see yourself in garden repeatedly then it is the good sign. Which Business is Good For Your Zodiac Sign?